Bosch LLC, a wholly owned U.S. subsidiary of the German Bosch automotive products company, has recently petitioned the FCC to take specific amateur radio frequencies to be given to Bosch to develop radar systems for self-driving cars. The proposal, which initially calls for a “sharing” of the frequencies, also encourages the movement of the ham radio usage in that band to other areas of the radio frequency spectrum. Usually, when two competing radio systems officially “share” radio frequencies, one of the services is designated as the primary and the other as the secondary user. The secondary user may not cause interference and must tolerate interference from the primary user. In other words, the secondary user can’t use the frequencies if the primary user is making use of them. And, certainly with the crony relationship that Bosch has with the automotive dictators in the U.S. government, the primacy of their usage would eventually be designated a safety issue precluding some random ham radio operator from broadcasting on the precious self-driving car frequencies. 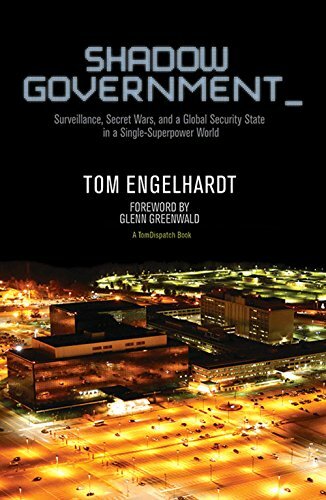 Shadow Government: Sur... Tom Engelhardt Check Amazon for Pricing. No doubt anyone – other than the connected cronies – who decided to tinker with a transmitter and emit signals on those frequencies would eventually risk being described as a terrorist who wants to take over our cars and crash them into U.S. landmarks. I can already imagine the FBI bulletin stating as much. So, ham guys, don’t expect to win the battle to keep or even “share” those frequencies. And of course, there is nothing like a market driven system for frequency use in the U.S. anyway. The parameters would be enforced with the aid of devices and technology such as GPS, radar, speed readouts, Near Field Electromagnetic Ranging (NFER), vehicle-mounted and stationary transponders, and ground navigational aids like buried cables along highways akin to virtual electric dog fences. There would be temporary and permanent data beacons defining restricted no-drive areas akin to the no-fly airspace around military bases and national landmarks. If this sounds like a wild concept involving massive amounts of dubious futuristic technology to not be feared in the present, consider that the additional on-board hardware needed to accomplish this is quite minimal. It is almost all in place. New vehicles are already loaded with on-board computers, proximity sensors, multiple satellite antennas (GM cars have three satellite systems), mapping systems, 4G LTE data transceivers, and Bluetooth technology. 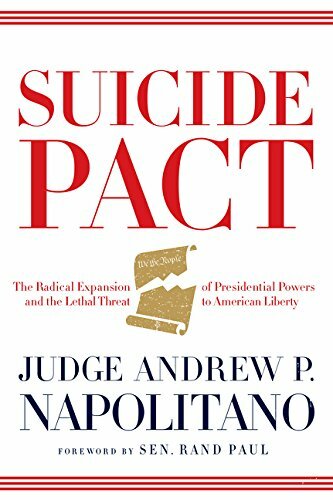 Some software updates Suicide Pact: The Radi... Andrew P. Napolitano Best Price: $1.01 Buy New $3.50 (as of 06:35 EDT - Details) and a few additional electrically-activated servos and relays to restrict or disconnect certain driver control inputs are the main additions needed. The permissible activity overlay could be updated regularly in the background unbeknownst to drivers. Every time a vehicle passes under the now ubiquitous overhanging data pods on freeways adjacent to truck weigh stations, the car’s onboard computer could register a new update. Proof of an updated acceptable activity overlay could be required for vehicle registration and issuance of government required insurance. Data signals from satellite systems, cell towers, and Wi-Fi systems could also push out the overlay updates to the car’s controlling computers as political events, construction zones, speed limits, and demonized activities, groups, and areas change. The Republican convention may be in town and an edict might be issued that traffic should be kept from the downtown area near the convention center. Up comes an instant geo-fence for that event. You could punch in the waiver code if you were affiliated with the event. If your car didn’t get the latest update because you live in the woods on the shady side of the mountain in a cave, there could be a local beacon set up at the convention center that would automatically force a download of the excluded zones to your car’s system as you approach the off-limits area. An impromptu visit by the emperor could result in a similar instant data broadcast in the local area to update the programming adding a new temporary restricted area to the onboard systems in all nearby vehicles. Offending vehicles would handily tell on themselves when attempting to override the fence and enter. 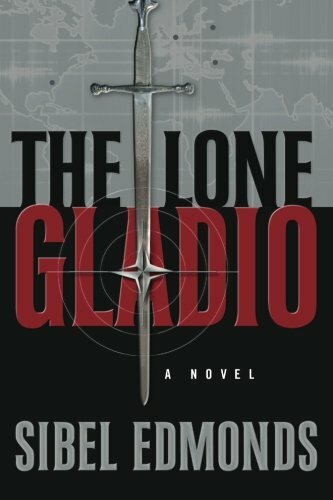 The Lone Gladio Sibel Edmonds, Sibel D... Best Price: $10.36 Buy New $15.49 (as of 06:30 EDT - Details) Operating a car without a permissible activity overlay would obviously be illegal and the moment your data update expired, your car could automatically go into a “safe mode” with reduced speed and limited driving options only allowing you to turn into certain safe areas where you could also get the latest update. Getting to this point would be entirely the driver’s fault as the system would have been nagging him for days to get the update which was about to expire. A vehicle’s failure to access the system during a trip and going dark would also be seen as suspect indicating that the driver may be trying to defeat the system by pulling the plug. And, pedestrian transponders (cell phones) would be proximity-associated with their corresponding vehicle with the already present and linked Bluetooth system which could hand off phone Electronic Serial Number (ESN) data to the central system for independent tracking of the phone. This would allow vehicle geo fence offenders to be identified on foot after they exit their paired vehicle. This cell phone / car pairing already happens and the ability to conduct tracking would be touted as a safety feature and a vehicle recovery feature assisting with the return of stolen vehicles to their rightful owners. 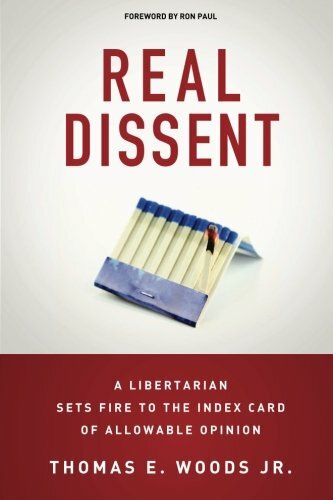 The corralling of drivers into acceptable lanes of movement and modes of behavior would be implemented via devices like Bosch style on-board radar systems foisted on the public as mandatory packages with lots of nice sounding language like Real Dissent: A Libert... Thomas E. Woods Jr. Best Price: $10.48 Buy New $18.76 (as of 06:10 EDT - Details) “crash avoidance systems.” The promise of safety, as usual, will be the means by which greater tyranny enters our lives. The car’s system would also gladly provide instant targeting coordinates in the event that a SWAT attack (or a drone strike) on a patsy would be politically expedient to detract media attention from some executive or legislative debacle. That nice wide dirt spot by the side of the road where unregistered vendors park with loads of watermelons in the back of their pickup trucks would be outside the allowable area of the superimposed permissions grid. When you try to pull into it, your steering wheel may vibrate to warn you that you are trying to do a behavior that is outside the overlay of permissible activities. A hard attempt to overcome the vibrating resistance would eventually cause the car’s controls to succumb – allowable as a driver determined emergency exemption – but with the sounding of an annoying beeping sound and a flashing light on the dashboard that would also interface with an event counter that could be accessed through a data port on the vehicle or remotely. Eventually, this misbehavior would be sent out as an alarm over the transponder system or data link so that “authorities” could be alerted of the event “for the driver’s safety.” These alerts could even be handed out as booty to whatever agency was quick enough to pounce on them when they pop up on their contractor-installed screens earning themselves a ticketing opportunity and a possible federally mandated kick-back for every response (as is done with the 911 system). 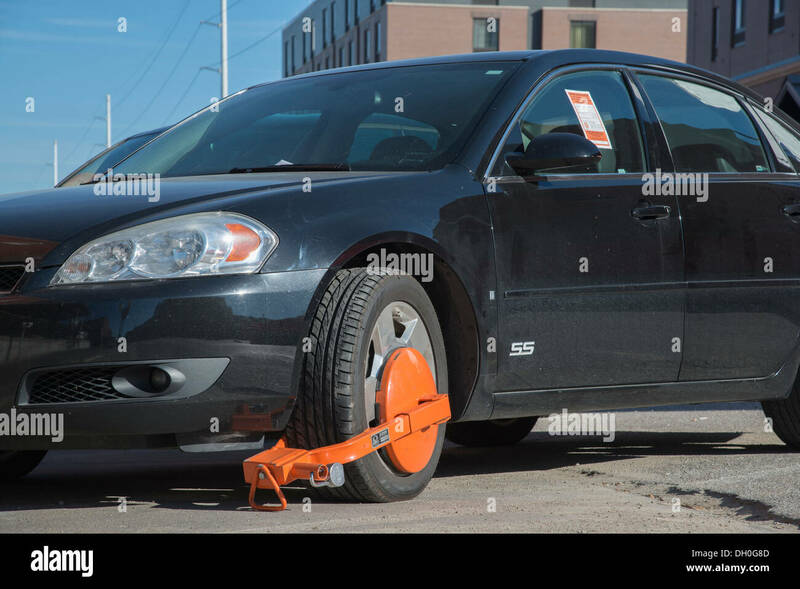 A virtual “boot” could be applied to the offending vehicle by deactivating its drive system and preventing its movement until enforcers arrive. Lazy departments could just program an auto-ticket to generate and be mailed automatically to offenders who cause a disallowed activity alarm. Geico could insert fine print in government mandated insurance policies allowing it access to the cached data to see how many warning vibrations your car logged while you were driving it and how often you overrode those warnings and forced your auto into impermissible zones or impermissible driving patterns; you know, to give you a “safe driver” rate reduction, blah, blah. If you were a farmer, you could get the farmer code to punch into your system to do off-road driving in permissible zones if you had satisfied the local tax feeders that your behavior was legitimate. Of course the NSA would draft a confidential CISPA-esque national security liability exemption for any data that the logging companies and insurance companies “voluntarily” turn over to the government without court orders. When a cop pulls you over, he could add “updated data verification” to the standard blurb requesting to see driver’s license, registration, and proof of insurance. An easy ticket could ensue for “failure to utilize required safety devices” if your restrictive overlay was out of date. The state laws wouldn’t even have to change for that ticket to be issued. Still think this sounds far-fetched? 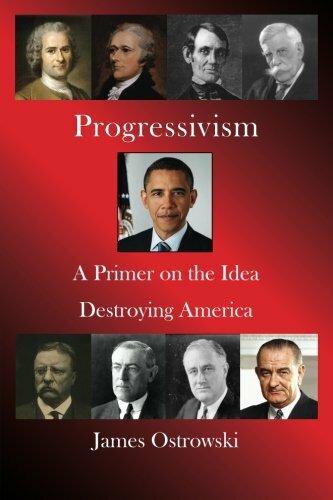 Well, it may take a few years for the FBI to send provocateurs to drunk guys in bars and offer them evil magic boxes that will allow them to override the restrictions in their cars so they can drive onto military bases, but we will allow tyranny to progress unhindered if we just ignore and rubber stamp what is staring us in the face. 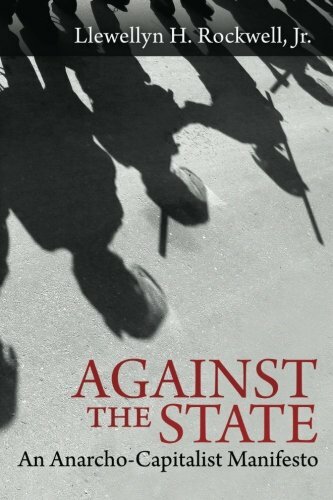 Just as entrepreneurs try to forecast the preferences of their fellow man, so liberty lovers need to assess the appetites of the state and attempt to predict its latest plans to satiate itself.